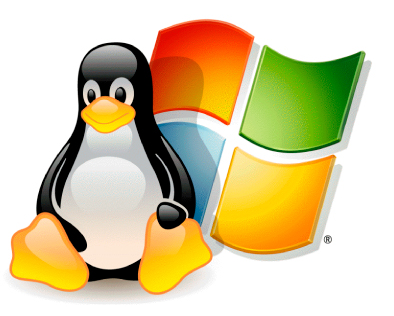 Several factors will determine how you decide between Linux vs Windows hosting. Your home operating system will not affect which hosting account you choose. The type of hosting you need depends on what kind of development language or database you will use with your website. To make the right decision you must consider the tools and scripting languages you plan to use. Choose a Linux Hosting account if you're going to use PHP, Ruby, Perl, Python, or CGI scripting. If apps are Microsoft-specific, or you plan on using ASP, ASP.NET, or ASP.NET 2.0, then Windows is what you need. Linux has been widely considered the best OS for Web servers. It's the most reliable, stable and efficient system and is favored for use on websites and mail servers. Cost will also come into play when choosing Linux or Windows hosting. Linux is relatively free while Windows server licenses have an upfront cost. Windows hosting is more expensive, less dependable, less well supported, and less capable than Linux.Linux Hosting focus on PHP, Perl and other open-source script languages for server side scripting. Windows-based sites use ,NET and ASP technologies. They might also offer support for PHP.Most Linux softwares are available online at free of cost.Because it is an open source OS.But windows based softwares are only available for cost.In my experience linux is best.You can get Linux based based website hosting plans from www.9cubehosting.com at low cost. Its obvious that Linux hosting services will win. It is easy to use with world #1 hosting control panel cPanel, the operating system is free, Database Software is free... why not its affordable then any other web hosting services.